Fascinating short film from France24 in their series on Iran this week, which profiles the large and apparently thriving Jewish community in the country. At one boy's bar mitzvah he is seen talking about his Muslim friends and Muslim diners are seeing mixing with Jewish party goers pouring each other generous portions from a large bottle of very alcoholic wine, judging by the slightly tipsy man carrying the bottle who claims "we've never had any problems"! I spent much of last year studying Shia Islam and the social movements that have emerged from within it, particularly looking at how they frame their arguments and position themselves within the Shia discourse, in so doing mobilising supporters and resources in pursuit of change. What became obvious was that the analytical tools we in the West use to try to understand those things fall at the first hurdle because the frameworks we use are based on western assumptions. For example, the assumption that such movements want to seize power at the earliest opportunity – when in fact they may envisage decades of altering society before wanting to do so, seeing themselves as part of a continuum of change lasting centuries. 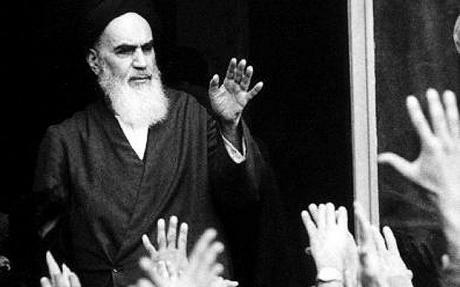 In many ways you could argue the seizure of power by Khomeini was a result more of the implosion of the Pahlavi regime than an active programme on his part to bring it about as soon as possible. Imam Khomeini: not in a hurry? Equally, wider theories of Iran’s pursuit of an “arc” of Shia influence across the Middle East, long put forward by some, is quite difficult to sustain when you scrutinise it. The regime’s tolerance of a Jewish community, right at the heart of the Bazaars of Teheran that swept away the Shah, is also an aspect of the country not widely known, while the fervent nationalism of the Jewish surgeon and parliamentarian in the film runs counter to what a Western narrative might predict. What all of that tells you, as ever, is that things are not always as they seem. No surprises there. But sometimes we need reminding, and this film is a really fascinating way of doing that.